The artwork of RA Smith, aka Robert Alan Smith is a fascinating subject to research. In looking at his notes, drawings, and original finished art I recently noticed a theme that surfaced in several pieces…a horse. A novice could identify it is the same horse but in many cases it is a rocking horse. I asked myself what the significance could be…was it a childhood memory? Several images show a young boy…was it a favorite toy? 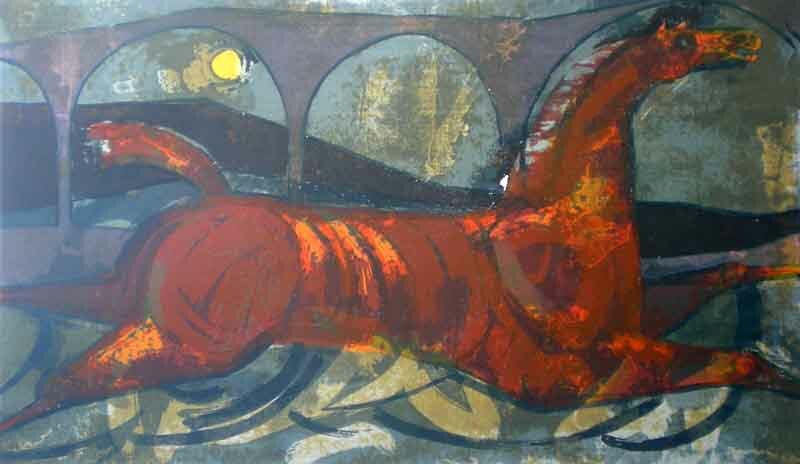 I saw it first in the serigraph entitled ‘Night Ride’, a brilliant piece with vivid colors and energy. Then I came across a pencil sketch of the same horse except it was a rocking horse. 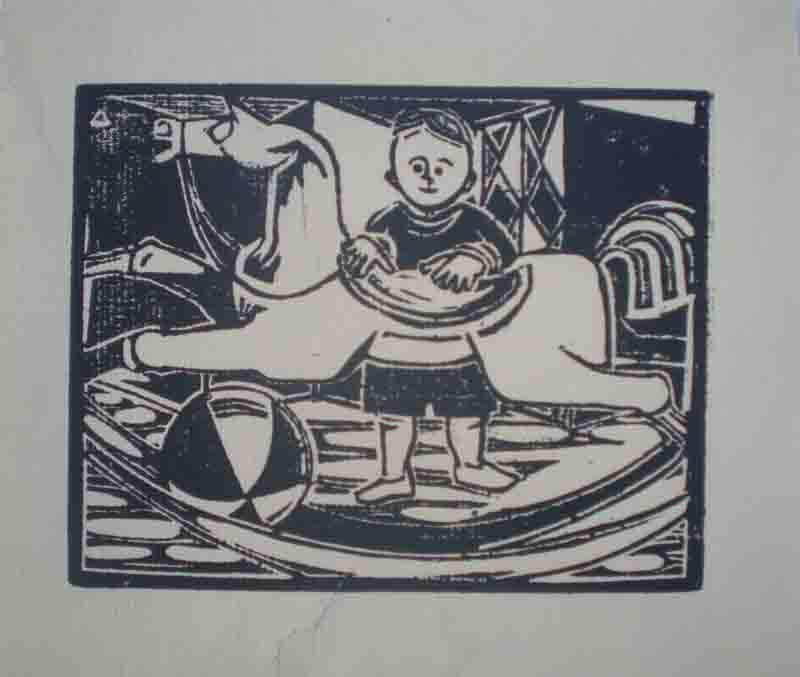 Still later I found a block print with a young boy and a rocking horse. 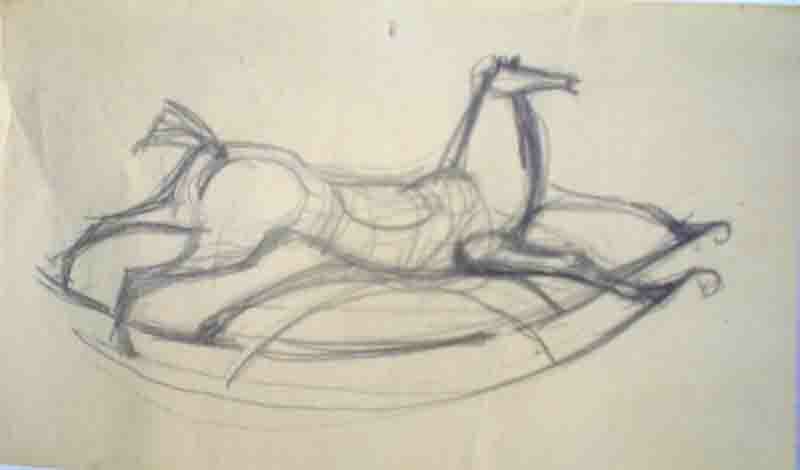 We assume this is from his studies with Siqueiros in Mexico when he studied this method. 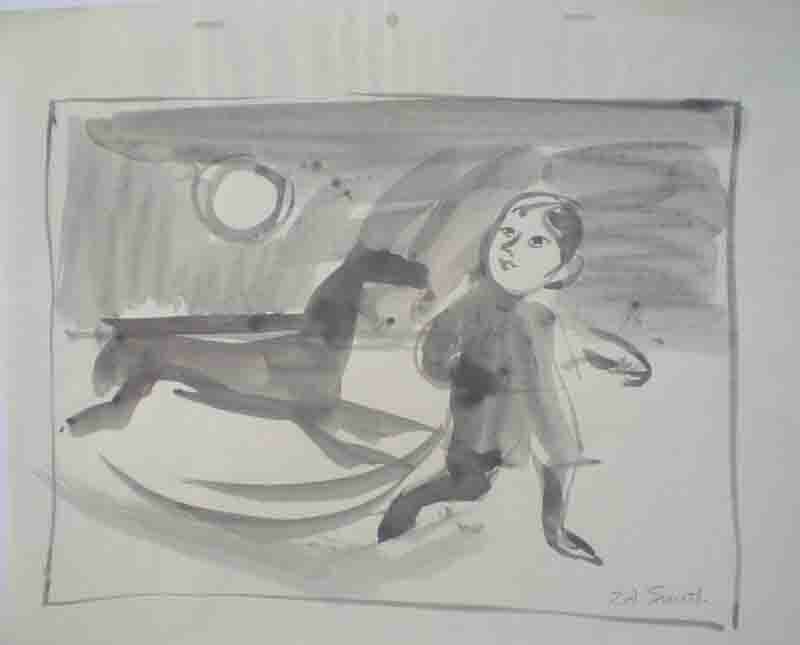 Then another ink wash image surfaced with a boy and rocking chair – but the animation paper dates it during his career in animation. This theme became intriguing. 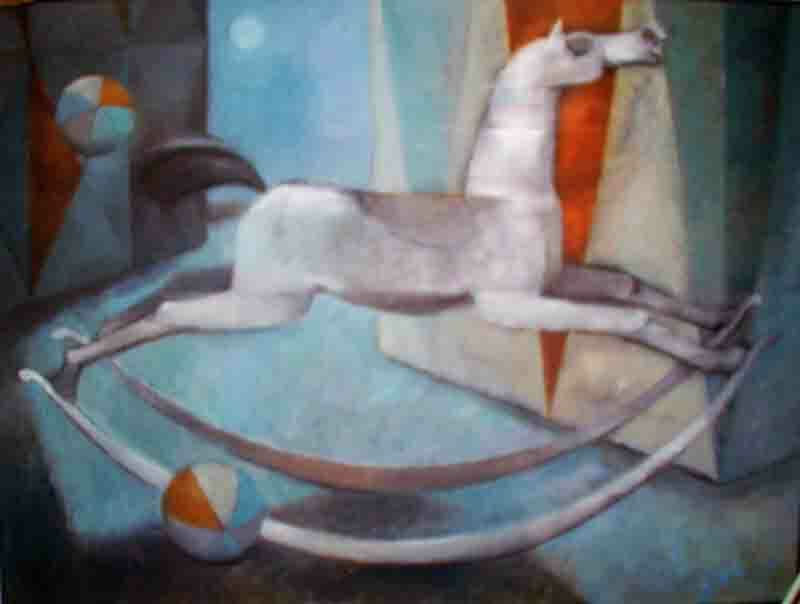 In accessing family stories I found yet another rocking horse – an oil painting made as a gift for his newborn niece’s bedroom in 1965, many years after the serigraph was pulled. Ann Kingman Smith recently recalled the location where this particular oil painting lives until this day. A favorite retreat had always been ‘the loft’ – accessible by a spiral staircase, a place for sleepovers and a preferred location for the night before Christmas. “Here we had trundle beds and book shelves, later the computer center and an art table – but always, the featured corner wall had the oil painting of Uncle Bob’s Rocking Horse. The children are now grown and gone she says, “but the Rocking Horse still hangs on the wall facing the window – high tree tops outside – many, many memories within.” Original art purchased or gifted tends to remain within the family for generations, the stories are passed along with the art; a truly a wonderful family legacy. This theme was found in decades of paintings and sketches but the story remains a mystery.